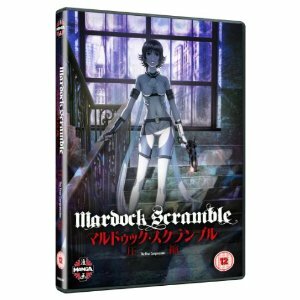 The upcoming release of futuristic movie Mardock Scramble: The First Impression, available on 16th April, will contain 2 versions of the movie in the same case. It will contain both a 15-rated version, the standard version, and a Directors Cut of the movie, which is rated 18. This applies to both the Blu-Ray and DVD releases of the film, both due on the same day. This information has come from the BBFC website, which also shows that the theatrical version is 62 minutes long, and the directors cut is 66 minutes long.